Have you ever been told to ‘take your troubles to the water’? Well we’ve heard that sea water is really good for us. So let’s look at the health and beauty benefits of salt water! Let’s start off with the basics. We are made up of water. Our bodies consist of about two-thirds water, and the only mineral we can ingest is salt. We have the elements of sea water within our systems, so how does swimming in the ocean help us? 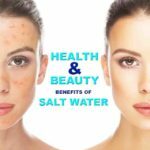 First of all, sea water is a miracle treatment for acne and semi-permanent scars. Salt is an excellent curing, clearing, and cleansing agent. Why do you think we cure pork with salt? Sodium chloride helps to cleanse the skin and is effective for mild acne. Instead of using harsh chemicals that can damage pores and cause scarring, try taking a trip to the waves instead. Salt water heals cuts and sores. Have you ever been told to go into the ocean for your scrapes? Salt water has been used as a cleanser for thousands of years. It helps rid the skin of toxins and cures cuts. 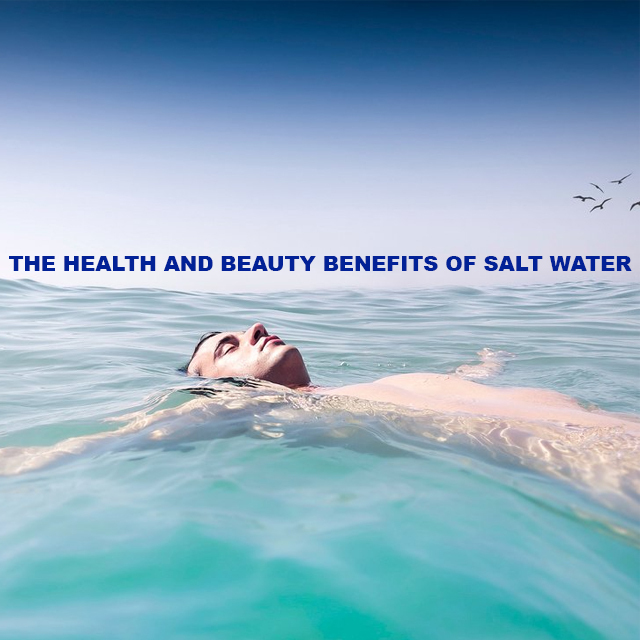 That’s why it is often recommended that we gargle with salt water. Salt also dries out the pus in wounds. It may sting when you first touch the water, but when you come out, your sores should be much less painful than they were before you went in. Salt water also acts as a natural shampoo. Have you noticed that your hair is extremely dry after coming out of the water? This is because the salt in the ocean removes excess oils. If you have a particularly greasy scalp, then salt water is an excellent way to strip those heavy oils. Bathing in sea water also adds volume to your hair, especially if you use many products. The salt gets rid of the built-up chemicals from conditioners, hair sprays, and gels, and thus your hair isn’t nearly as weighed down. The water even gets rid of dandruff, especially when the salt particles are large, because it acts as an exfoliator to your scalp. It clears your nasal passageways. If you’ve ever gone into the water with a stuffed nose, you know that the moment salt water enters your nose, tons of goop comes seeping out. Gross, right? If you’ve ever had a stuffed nose, you may have used a pot full of salt water to cleanse your sinuses. Doctors often recommend flushing the nostrils with salt water to help alleviate built-up mucus. Why use a pot when you can just go for a swim? Don’t worry, whatever goes into the water gets cleansed by the ocean’s natural janitors, the algae and sea plants. Finally, swimming in sea water helps you stay fit. This is perhaps the most conventional of the beach’s benefits. When you are swimming, you use muscles in your shoulders, arms, and legs that aren’t used in any other activity. That’s why swimming is often recommended as a great way to exercise. Even treading water at a fast pace will burn 590 calories an hour if you weigh less than 130 lbs. If you weigh more, then it burns even more calories. Don’t forget to moisturize when you get home from the beach. Although the sand and water are good for your, salt can also be drying, so after a day at the beach spa, take a shower, and put on some lotion. Dumela Holiday Resort is situated in Margate the heart of the South Coast. We pride ourselves on being the best family resort with various facilities on site which include a family swimming pool, thatched pub and exquisite braai areas just to name a few. Thanks we will have our bookings department get in touch via email shortly! Whoah! Who would say no to this wonderful benefits! I would go and have to use salt water for the sake of beauty! Thanks for this read! It really got me interested! Lovely, thanks for letting us know!